Show-stopping performances from IDentity Dance Crew will send a positive message about hope at the I am Unstoppable charity event on May 23. 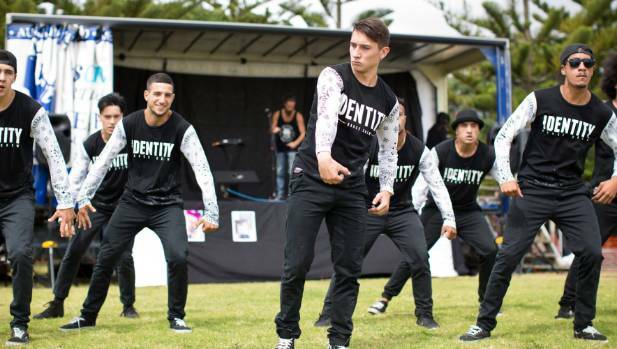 A rugby league star, a hiphop dance crew and a charity group are joining forces to show the people of south Auckland they are unstoppable. Natalie Blucher, 29, is the founder of I Am Unstoppable , a charity that gives people the tools needed to cope with hard-hitting issues such as depression, addiction, suicide and abuse. The charity is hosting a community event and show in Manukau on May 23. It’s sponsored by Choice Kids and will see an appearance from the “Beast” Manu Vatuvei. Rugby league’s Manu Vatuvei is an ambassador for I am Unstoppable, a charity that gives people the tools needed to cope with hard-hitting issues. There will also be show-stopping performances from IDentity Dance Crew, singer Grace Ikenasio and the South Auckland Poets Collective. Each act will send a positive message about reaching out for help and finding hope. “Our main aim is to see people overcome issues and see people’s lives change,” Blucher says. “Theres so many wonderful services, they just need to be encouraged to take that step and know exactly where to go. Blucher started the charity two years ago after she overcame depression herself. “I’m probably one of the most unlikely people to go through depression,” she says. “I never understood why New Zealand has one of the highest suicide rates and now that I’ve done a lot of work with at-risk youth its overwhelming how many people have contemplated suicide. Blucher also plans to take I Am Unstoppable to high schools through out South Auckland. Choice Kids operations manager Rose Davys says the event is about making a difference. “We are here to help as many people as we can and to make a difference in South Auckland,” she says. “It’s more about awareness and there are places people can go to get help. * The free community event will be on May 23, from 4-6pm with free food, rides and entertainment. The show will be from 6pm-7pm at The Dream Centre in Manukau. Go to iamunstoppable.co.nz for details.